Leafbox is the quicker, easier to use, eco-friendly alternative to cardboard boxes when moving your home or office. We hire our reusable moving boxes plus you can buy any additional packing material you require. When you hire a moving bundle, we also provide a moving dolly to make shifting boxes a lot easier and safer. After you’ve moved (either on your own or using a moving company), we pick up the boxes and sanitise them for the next user. No more piles of used, filthy cardboard boxes for the landfill. 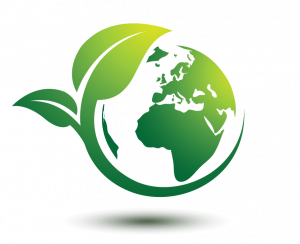 We also have some great eco-friendly packaging materials, hand trucks and moving blankets for your relocation needs. 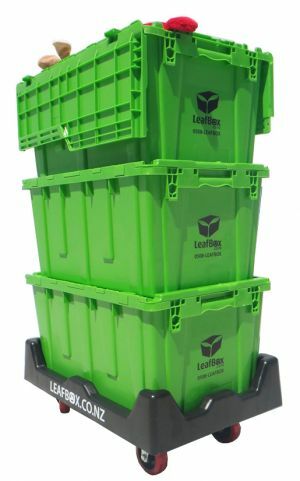 Leafboxes are hygienic, stackable, solid, durable and eco-friendly as they can be re-used hundreds of times and can easily be recycled after its lifespan. They come ready to use with lockable lids and carry handles. Simply fill them up and stack them up to 5 boxes high on our custom built trolley then glide them easily to the next room or onto the truck. We currently service the great Waikato and Bay of Plenty regions. Check here, or please call or email us if you are unsure if your postcode is covered. Fill them up and stack them up to 5 boxes high on our custom trolley, then glide easily to the next room or onto the truck. Save time and save your back in the process! Our boxes can be used hundreds of times and, as we all know, reusing is far better than recycling! And to top it off, our boxes are made of HDPE plastic which can easily recycled for making into other products when our LeafBoxes do eventually deteriorate. That was the easiest move ever! The boxes are the perfect size to pickup especially with the handles. Would never move with cardboard boxes ever again! Thanks Leaf Box for the delivery of these amazing moving boxes, dolleys and accessories. What an amazing concept - get on board Waikato - don't do it the old-school way...this is how all the cool kids move house! Wow this really made moving our office so much easier! All the boxes ready to go and so easy to stack up and roll out to the moving truck. Highly recommend. Leafbox is a convenient, efficient & eco-friendly alternative to carboard boxes.